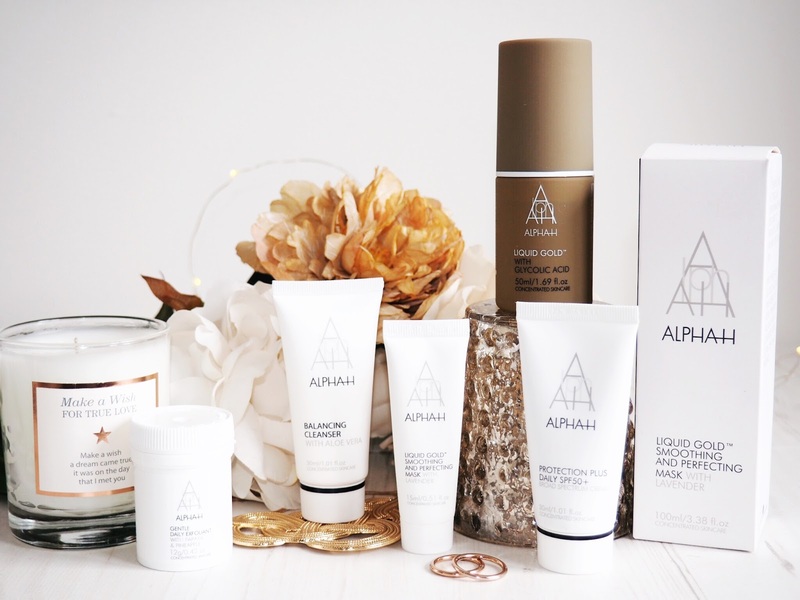 Alpha – H are a skincare brand who’s products are designed to bridge the gap between the beauty counters and invasive clinic treatments. And they’ve earned major kudos in the beauty world with one of their products, Liquid Gold, being labelled as “bottled brilliance” by Harpers Baazar. And it’s their Liquid Gold product that I’m totally in love with myself, and can now fully understand why it’s earned cult beauty status, with one being sold every minute, of every hour across the world. So what is Liquid Gold? Well technically it’s a resurfacing treatment. But now that I’ve been using it for almost two weeks, I can already tell you that it’s so much more that! It’s supposed to be the product that you use for all manner of skin imperfections, including improving the appearance of pigmentation, sun damage and diminishing wrinkles and fine lines. Now, I’m only 28 so I don’t have wrinkles (yet) and I didn’t class my skin as showing signs of sun damage or pigmentation, although in my opinion I do have a very uneven skin tone. I would describe my skin type as oily – very oily thanks to my PCOS and Endometriosis. Which can cause breakouts by both the hormonal imbalance that comes with those conditions, and also because the excess oil that my skin produces means it’s the perfect skin type for breakouts to breed. So I’m always on the hunt for a revolutionary skincare product to help me make the best of my skin and combat these pesky imperfections. I was excited to see what Liquid Gold could do for me, but I held out high hopes before even trying the product, based on it’s extremely highly regarded reputation, but also because it’s low pH delivery system meant I was hoping it would neutralise the excess oil. Which to me is always a good place to start with skincare, being oily an all. 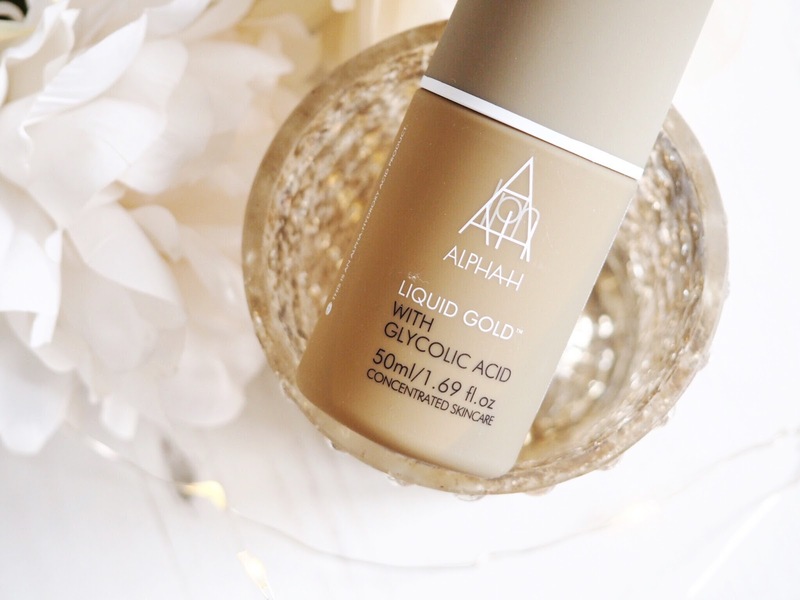 Liquid Gold comes in a gold bottle (duh) and is applied very easily. Remove make-up as normal, and fully cleanse your face before soaking a cotton wool pad with the liquid and wiping over the face and neck. You are supposed to use this in place of a toner after cleansing, but I still use my toner first just to ensure that my skin is fully clean and clear of all make-up and dirt. I then apply the Liquid Gold – and voila, you’re done. So it’s literally a process that takes seconds and can be used as part of your skincare regime very easily. It’s also important to stress that this should be applied before bed – it’s an overnight treatment and that’s how you get the best results. I usually take my make-up off as soon as I get home from work, so I use mine then as part of my evening skincare regime – I guess it’s about finding the right timing for you. But as long as you’re not applying anything else (make-up or any other skincare product) after using it for a significant amount of time, then I guess evening or bedtime is fine. So the application is quick and easy – what’s it like to use? It’s been said that there can be a stinging sensation when using this. However I can absolutely assure you that it’s nothing to worry about. Yes, you can feel it working as it penetrates the skin, but I really like the sensation! I find it refreshing, so it’s far from unpleasant. I also think, and have said on my blog multiple times before, that if you’re using a product that’s revolutionary that really, truly and actually does provide intensive results – the sort you’d pay a salon for – then it’s highly unrealistic to expect their to be no sensation whatsoever. But as I said, you feel it for approximately 20 seconds and then it’s like it’s been activated and the sensation stops – it’s a feeling I really liked! You’re not supposed to use Liquid Gold every night, but every second night – which is what I’ve been doing. Considering Liquid Gold is a resurfacing treatment, it’s also classed as an exfoliator, serum, toner and moisturiser in one. And it’s supposed to revitalise tired and prematurely ageing skin. It’s also supposed to help people with acne scars and marks of that nature. (There’s an awesome before and after image on their website for that, see it here.) Are you getting the picture that this skincare product really is a multi-tasker yet?! So that’s all the practicals and the technicals – but what does it actually do? Well, Clinical Studies show that apparently you can expect to see improved wrinkle depth, reduced skin roughness and it’s also supposed to increase moisture levels – all in only the first 20 minutes. And I’d agree with the latter – the excess moisture levels kick in very quickly. But the real magic happens over night! 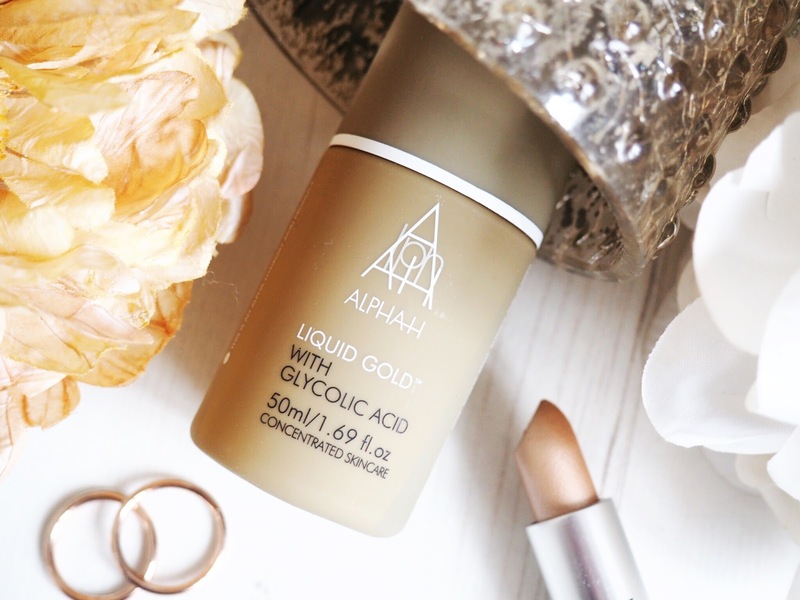 When I use Liquid Gold my skin looks like I’ve just had a facial – as you’d expect from the product that is actually a facial in a bottle! So it looks healthy and clean and like it’s been treated. However in the morning, well, let’s just say in the first morning I was flawed. I’ve never used a skincare product and seen overnight results to that level. I’ve used lots of treatments and lots of products that with repeated or continued use do give fantastic results. But overnight? Nothing has ever worked this well for me. My skin was soft to touch but also looked softer, plumper and therefore younger and healthier. It looked clean, like I’d got a whole face of new skin. The overall appearance was wonderful, and with great joy I can say that I woke up with less oil on my T-zone than usual… All after my first night of usage. I was immediately sold! So I’ve obviously continued to use it, as instructed – every other night, since then. And now nearly two weeks down the line, the effects are lasting longer and my skin is looking overall better and constantly now. I didn’t class myself as having pigmentation issues on my face, and I didn’t think my skin looked tired or dull – because I do look after my skin. But now I can see how much more radiant my skin looks, I realise I just probably hadn’t even noticed the lack of colour in my face as you get used to it. But clearly there was something that wasn’t quite at it’s best, because now my skin looks a million times better! I’ve got less oil on my T-Zone in the morning, which is making my make-up application a lot more pleasant. I feel like I’ve got this amazing canvas on which to apply my make-up every day. My breakouts haven’t stopped (but I doubt they will as they’re caused by my hormonal issues) but the Liquid Gold overcomes the signs of them, meaning they last a much shorter amount of time before they’re gone. My skin looks and feels more consistent in tone and using this as part of my usual skincare regime has really made me feel like I’ve taken my skincare game up a good few notches! I am literally overjoyed, OVERJOYED I TELL YOU! So, I don’t class myself as having problem skin, but we all have things we don’t like about ours. If you do have problematic skin, and likewise if you don’t, this product is going to transform your face. If you care about your skin, you need to try this, and it’s only £33.50 which is less than you’d pay for one facial – and this gives you an overnight facial every other day. You can get it here. The kit only costs £44 so it’s excellent value for money and you can find it here. I’ve enjoyed all of the products in mine and I’ve used the exfoliant in the mornings when I wash my face and the cleanser before using my Liquid Gold. I’m also going to be doing another Skincare Sunday post on the Liquid Gold Smoothing & Perfecting Mask at a later date when I’ve used it for a little while longer, but I can tell you already that’s shaping up to be just as much of a winner! 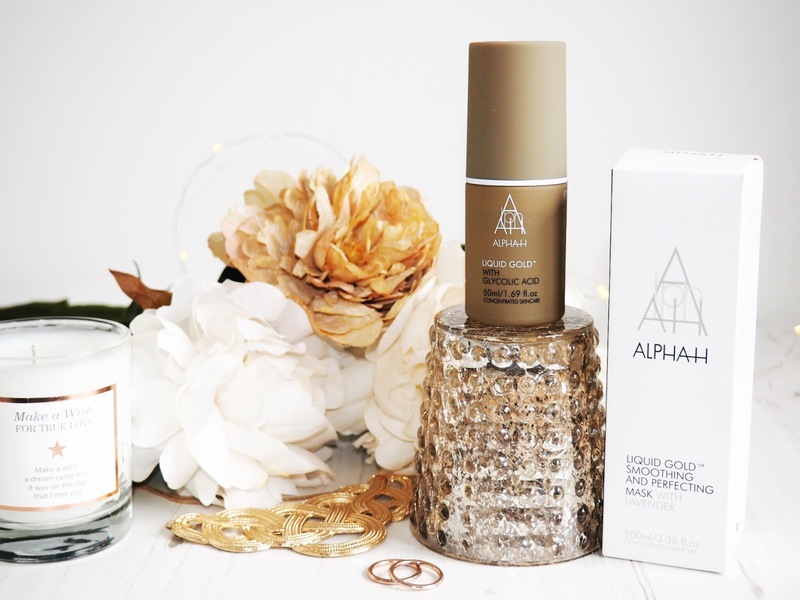 So, I had high hopes for Alpha – H and their products, and far from being disappointed, I’ve found a product that’s not just met my expectations but exceeded them – by a huge amount. 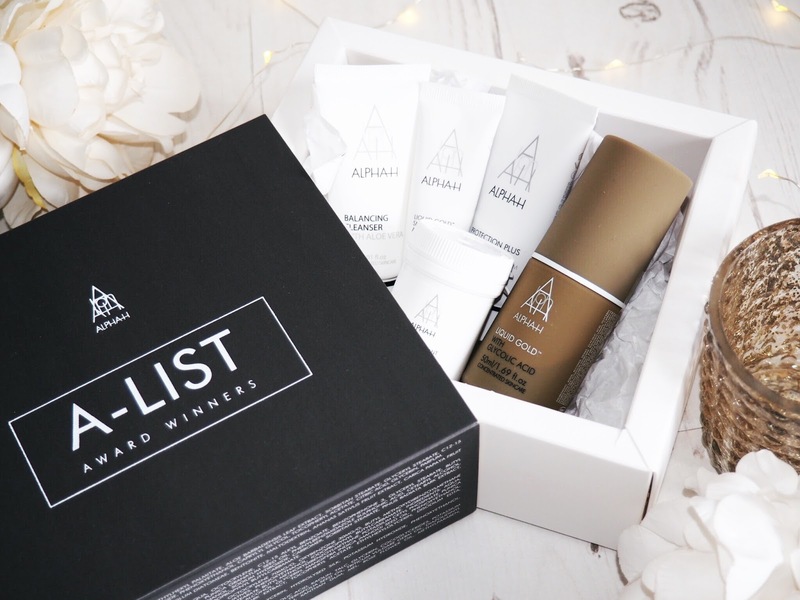 Will you be trying Liquid Gold or the A-List Kit?